I want to continue talking about tips and strategies for selling more jewelry through Ebay stores and auctions. I’m convinced that Ebay is still an excellent marketplace for selling handmade jewelry if your approach it like a good jewelry marketer. Many Ebay sellers fail to make good use of one of their most important Ebay marketing tools, their “About Me” page. I’m always surprised by the number of sellers who don’t take advantage of this wonderful marketing opportunity. It’s a great place to establish your credibility and let people know there’s a real person behind the jewelry designs. The more you can make people feel comfortable buying from you, the more jewelry you’ll sell. It’s that simple. 1. Always include a photograph or photographs. Online buyers are very visually oriented. They tend to be much attracted to a colorful photo than they are to lines and lines ot text. If you feel comfortable, I would suggest including a photo of yourself as this helps to increase your credibility. People are more likely to feel comfortable buying from you if you include a photo of yourself. If you’re not comfortable with putting your photo on the internet, include several photos of some of your nicest jewelry pieces. Instead of just including the photos, why link them so when a potential buyer clicks on the photo, they’re taking to some of your jewelry listings? 2. Write your “About Me” page from the customer’s perspective. Many sellers make the mistake of talking about themselves when they write their “About Me” page. The truth of the matter is the customer generally has their own self interest in mind. Instead of focusing your writing towards you and your business, let your customer know how their jewelry can benefit them. 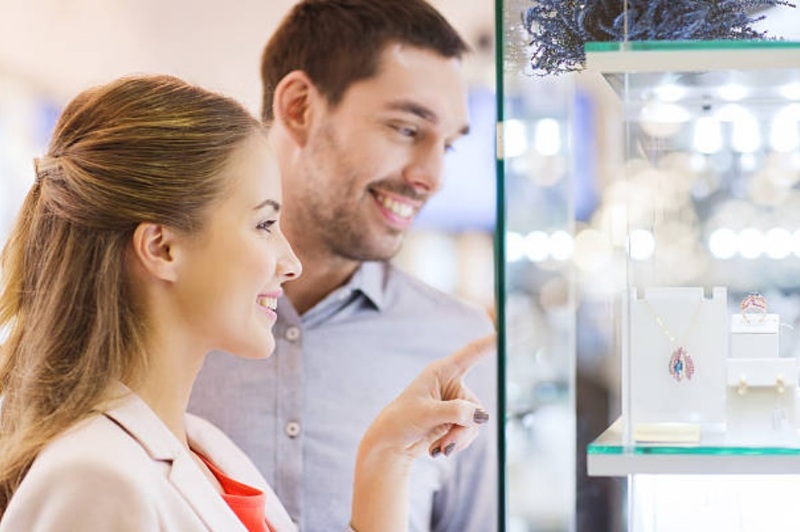 When you describe the benefits your jewelry offers, use personality and create a picture in your customers mind of how they’ll look and feel when they wear your jewelry designs. Once you’ve completed your writing, let someone else read it and see if it compels them to want to buy. 3. Use your “About Me” page to get subscribers to your newsletter. You “About Me” page gives you a perfect opportunity to encourage your customer to join your mailing list. To further entice them to join your list, offer a free report on how to care for jewelry or how to select a piece of handmade jewelry in exchange for their email address. Once you have their email address, you can send them regular updates on your jewelry line along with special offers and sales. Just don’t abuse it by flooding your customer with email. 4. Include a link to your website on your “About Me” page. While Ebay doesn’t allow links in auction listings, you can include your web address on your “About Me” page. Take advantage of this to get more traffic to your website. 5. Don’t annoy your potential customer with your “About Me” page. I’ve found some Ebay “About Me” pages that have music, moving images, flashing icons, and other distracting elements. I would stay away from these as they distract from your image and your message. I don’t know about you, but when I see these features on a page, I quickly click away from the site. 6. Display your logo on your “About Me” page. Instead of just displaying a static depiction of your logo, use HTML to link it to your Ebay store. People are accustomed to clicking on logos and images when they see something interesting. You’ll get more traffic to your Ebay store this way. 7. Add some blank space and color to your “About Me” page. Always make sure your paragraphs are short. (2-3 sentences) with lots of blank space in between to make it easier to read. Adding some color to your page that’s consistent with the theme of your jewelry also can make your page more appealing. If you have natural stone jewelry, stick with earthy tones. If your jewelry is bright and funky, go with a bit more color. Just don’t go overboard and make your page too busy. To be honest, I’ve been looking at a lot of “About Me” pages and I’ve found very few good ones to show you as an example. I think you can do a much better job. One site I can refer you to is a discussion group on constructing a good “About Me” page located here. Next Next post: Why Customers Are Your Best Source for Jewelry Design Ideas!